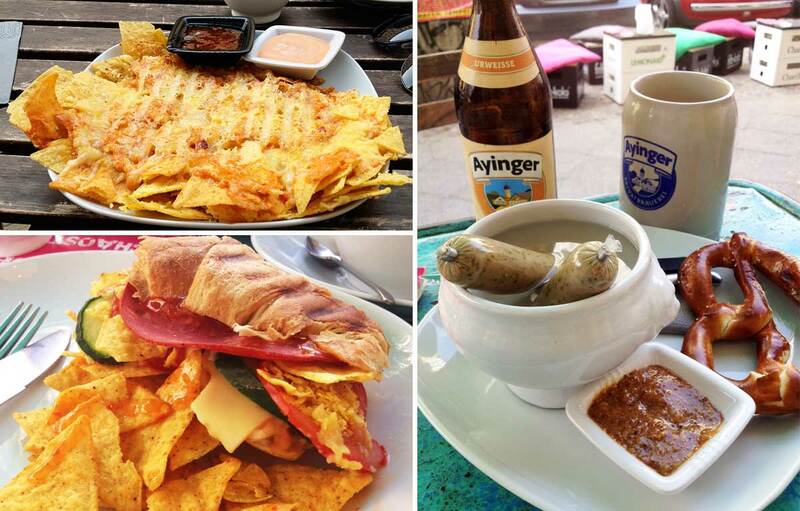 My favourite vegan places in Berlin. This is a difficult post to write, as there are so many great places to choose from in Berlin – and new places keep opening! So I should say now that you’ll almost certainly disagree with me, and this is my personal list of the locations I enjoy visiting the most right now. 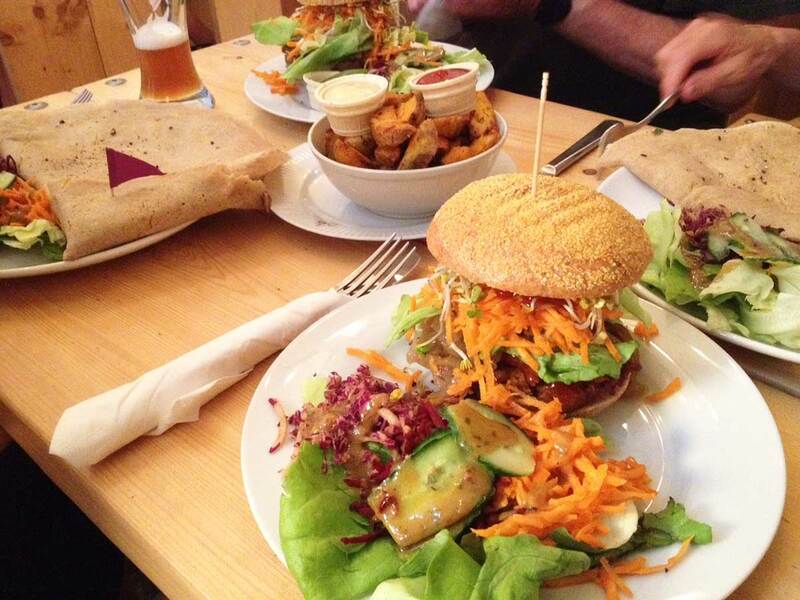 These three eateries are 100% vegan. They’re not in any particular order, as I can’t really choose between them! But they’re definitely my top three, and I think that they’re almost perfect. Let It Be serve delicious filled crépes with a variety of sweet and savoury options, as well as towering burgers and chunky potato wedges, all named after famous vegan(ish) people. Sadly they broke my heart when the Ted Danson creamy mushroom option was removed during a menu re-vamp, but the Woody Harrelson ‘cheese and ham’ makes up for my unintentionally Cheers-themed disappointment. It’s friendly and relaxed, with an excellent soundtrack playing gently in the background. I’m very lucky that Chaos Theorie is a short walk away from our home. I’ve posted here before about the great desserts they sell, but Chaos Theorie also serves delicious savouries, such as filled croissants and cheese-covered nachos. There are also daily specials including a “Weißwurst breakfast” on Saturdays, and doner kebabs on Thursdays. If that’s not enough, it’s also a well-stocked bar, serving alcoholic drinks, including a huge range of cocktails. 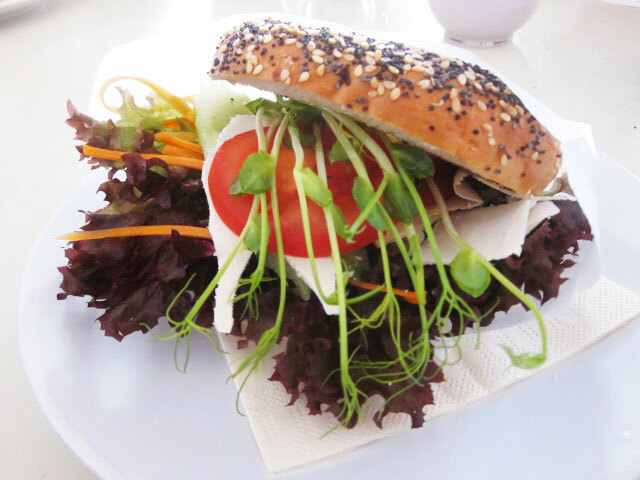 Not far from both Let It Be and Sfizy is this light and calm Brazilian-esque café which specialises in bagel sandwiches. I’m a big bagel and coffee fan, so Café Vux ticks so many boxes for me. My favourite is the cheese with guava jam (or jelly to the USians reading), closely followed by the lime seitan. 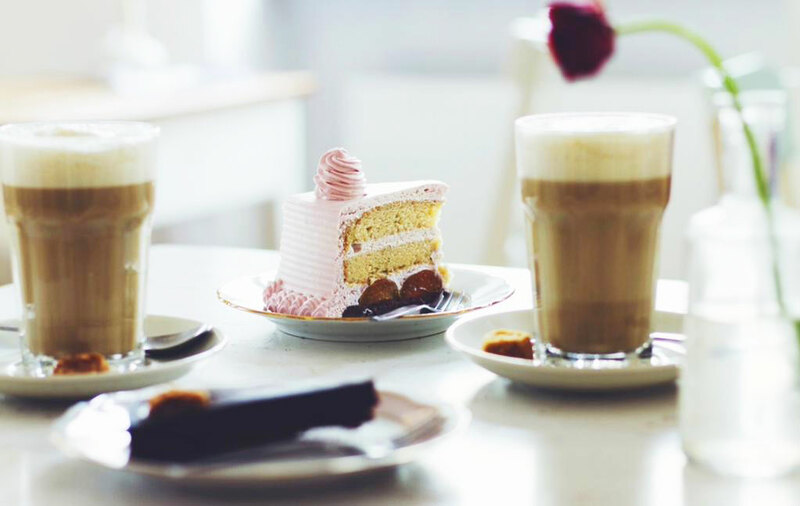 Add a latté and a slice of one of their wonderful cakes, or the muffin with the crispy sugary topping, and I could sit there all day. Photo credits for Café Vux photos here and here. Used with permission. The Jivamukti Canteen for soups and sandwiches, very near to the outdoor Berlin Wall exhibition which runs along Bernauer Str. I’ll be reviewing more places soon, so subscribe to find out what’s new. Any dissenting views, please leave a comment below!